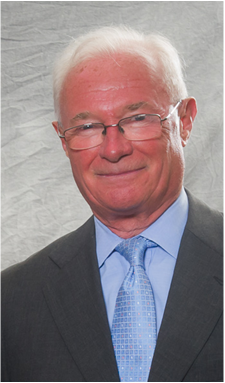 Simon Hunt began his career in 1956 in Central Africa as a PA to the Chairman of Rhodesian Selection Trust one of the two large copper companies in what was then Northern Rhodesia, now Zambia. In 1961 he came back to London and joined Anglo American Corporation of South Africa as a PA to one of the Board Directors followed by being part of a small sales and marketing team for copper. From there he helped start up a new copper development organisation, CIDEC, financed by copper producers which he then joined focusing on conducting end use studies of copper in Europe. He then went into the City to gain financial experience and founded Brook Hunt in 1975. He was instrumental in setting up the company’s cost studies and end use analyses. He appeared as material witness and consultant in two ITC anti-dumping cases in 1978 and 1984 winning both at the commission level. He has spent 2-4 months every year in China since 1993 and until a few years ago would be visiting some 80 wire and cable and brass mill factories across the country every year. He now restricts these factory visits to a smaller number all of which he has known for many years. He also spends many weeks each year travelling around Asia. The focus of the company’s services is on the global economy including the changing geopolitical and financial structures, China’s economy and its copper sector and then the global copper industry as each part is interconnected. Simon is the author of the “Frontline China Report Service” which is marketed by the TIS Group. The Service provides regular reports on China’s economy, politics and financial outlook. Simon established this company in January 1996. Douglas Anderson: Doug has spent over 30 years working and living in China and the Asian Pacific region. He has run a number of large foreign companies operating in China. He is politically and business wise well connected. He holds two honorary roles in China. The first as Vice-Chairman of the Building Materials Industry; the second as Vice-Chairman China Academy of Sciences. In 2008, the National People’s Congress made him the Number 1 Businessman in Shanghai and one of the four top businessmen in the country. Triangle: The Company is our trade associate in Shanghai, a connection that goes back to 1990. WaveTrack International: Peter Goodburn who leads this company is our technical associate a relationship which goes back to the early-1990s. We also have a number of friends and associates globally who prefer to remain nameless. If you'd like to know more about what we do, please click the link below.